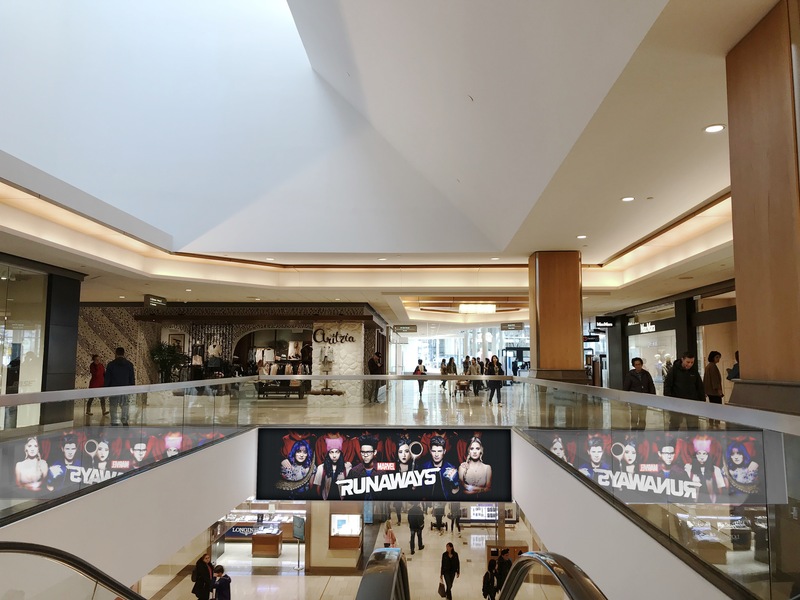 Branded Cities and Cadillac Fairview (CF) have launched two massive mall digital spectaculars (previously known as bulkheads) in premier shopping destination CF Pacific Centre, Vancouver. The large digital assets boast long sightlines, measuring at 18’W x 4’11”H and 14’9”W x 8’2”H, and offer brands ten-second ad spots throughout a two-minute loop. In addition, the mall digital spectacular network empower advertisers to deliver a memorable brand experience with responsive and real-time content, including: social media live feeds, real-time conditional triggers, and tailored content for targeted audiences. CF Pacific Centre, located in downtown Vancouver, consistently ranks as a top performing shopping centre, sees 21.6 million annual visits and is steps away from internationally known fashion district, Robson & Granville. The mall stretches three city blocks and hosts the only Holt Renfrew in the Vancouver area as well as downtown flagship locations for Apple, Michael Kors, Harry Rosen, Microsoft, Disney, H&M, and a new massive 230,000 sq. ft. Nordstrom. The new mall digital spectaculars are part of Branded Cities and Cadillac Fairview’s continuous effort to deliver an exceptional shopper experience and follows the recent installation of six digital directories in the mall.